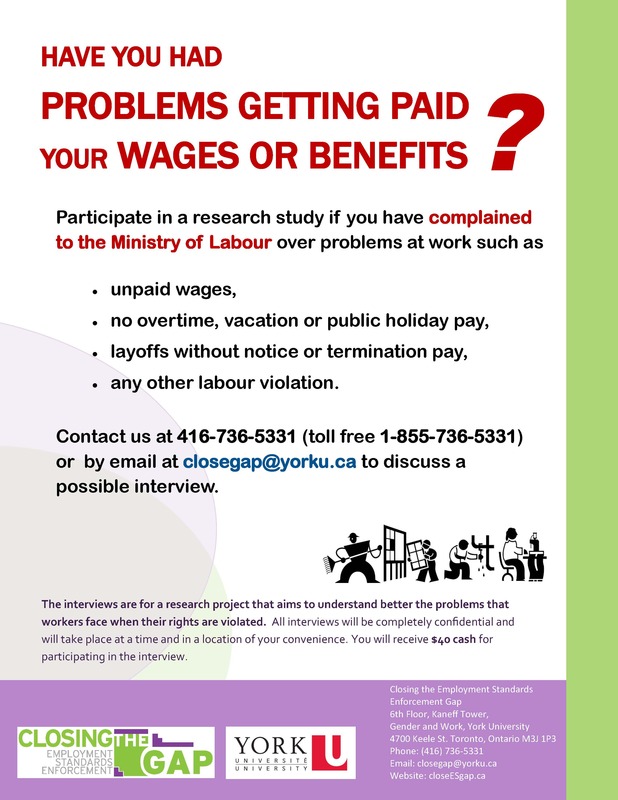 Contact us at 416-736-5331 (toll free 1-855-736-5331) or by email at closegap@yorku.ca to discuss a possible interview. 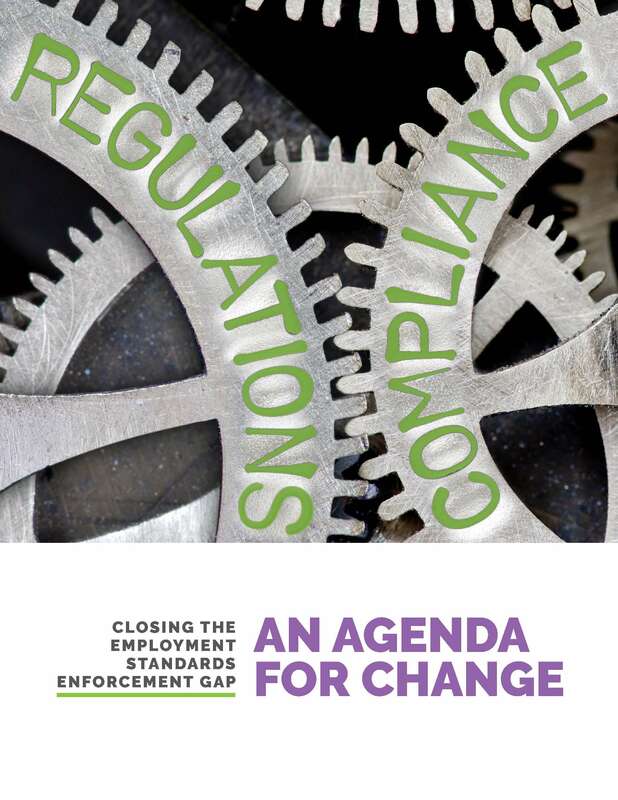 The interviews are for a research project that aims to understand better the problems that workers face when their rights are violated. All interviews will be completely confidential and will take place at a time and in a location of your convenience. You will receive $40 cash for participating in the interview. 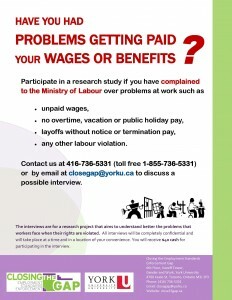 Download our outreach poster Have you had problems getting paid your wages or benefits?